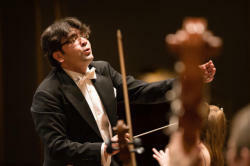 Eyyub Guliyev, Azerbaijan's Honored Artist, laureate of a number of prestigious international competitions was appointed as a chief conductor and music director of the Azerbaijan State Academic Opera and Ballet Theater, Trend Life reported. 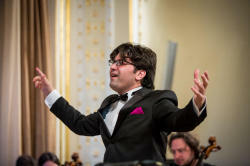 Guliyev is a graduate of the Baku Music Academy and the St. Petersburg State Conservatory. 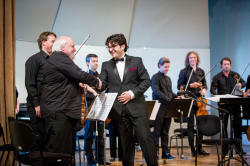 In 2008-2010, he studied at the Vienna University of Music and Fine Arts (class of Professor Mark Stringer) and the European Academy of Music in the Czech Republic (class of Professor Johannes Schläfli), and also participated in master classes by famous conductors. 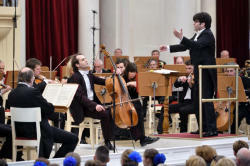 Guliev, along with his busy work at the State Opera and Ballet Theater, is a guest conductor of the Vienna State Chamber Orchestra, the Kunmin Philharmonic Orchestra (China), the Bogdan Varhal Chamber Orchestra (Slovakia) and the Belarusian State Academic Bolshoi Opera and Ballet Theater. From 2013 to 2017, he was also the principal guest conductor of the Vasily Safonov State Federal Philharmonic Society (Russia). The conductor also collaborated with the Royal Philharmonic Orchestra (United Kingdom), Hamburg Klassik (Germany), Radio France, Lamoure, Elios (France) orchestras, the Vienna Chamber Orchestra, Wiener Consilium (Austria), Toscanini Philharmonic (Italy), Kolors Symphony Orchestra (Greece), Sichuan and Kunmin Philharmonic Orchestras (China), Danube Orchestra (Hungary), Russian National Orchestra (RNO), Russian Philharmonic Moscow Philharmonic Orchestra, Zagreb Philharmonic Orchestra (Croatia) orchestra (Croatia, Zagreb Philharmonic Orchestra (Croatia), Lithuanian National Orchestra,etc.. He gave concerts at the Mariinsky Theater, the National Opera Theater of Belgrade (Serbia), the Mikhailovsky Opera Theater (St. Petersburg) and the E. Theodorini Opera House in Romania. 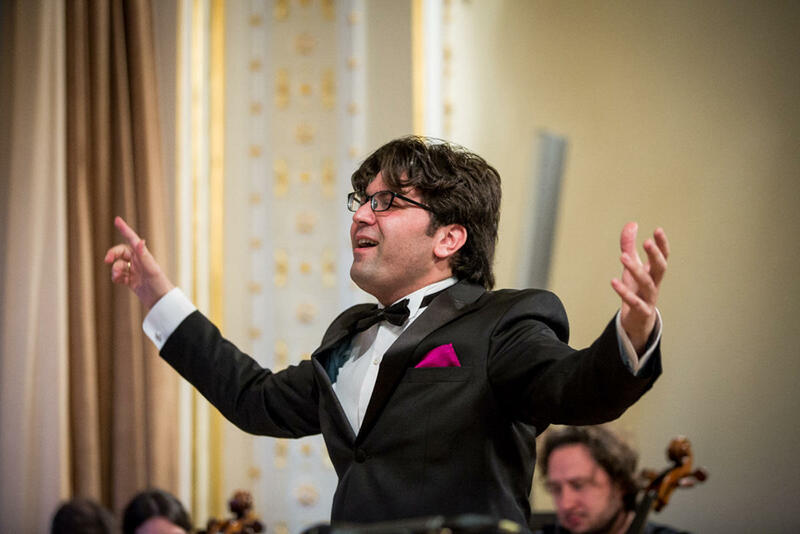 Eyyub Guliyev is the winner of several competitions, including the International Conducting Competition after B. Lyutoslavckiy in Belostok in 2006 and the International Conducting Competition after D. Mitropoulos in Athens in 2008. 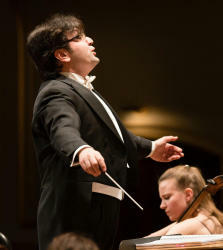 In 2010, Guliyev won the top award, the Giuseppe Sinopoli prize, at the International Conducting Competition named after Arturo Toscanini in Parma. 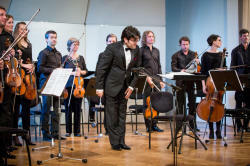 He is also an associate professor at the Baku Music Academy.